As many of you know, I recently signed up for the Jung Platform’s course on James Hillman’s book, Alchemical Psychology. This past Thursday was our first session. The online class presents a live conversation between Jungian Analysts Patricia Berry and Robert Bosnak. The audience was given time at the end of the session for questions and comments. I’ve decided to preface my posts on the class here with an attempt to first locate myself in relationship to learning, therapy and alchemy and to write briefly about the value I see in attending the class. To start, I want to acknowledge the ghosts that accompany me into my seat as both student and participant. Formal school has often times been a stumbling block for me. As a child and into my teen years I was a terrible student within the formal setting of public school. These early years of my life coincided with an ongoing experience of a particularly painful sense of absence. Absence was a dominant theme; absence from school, absence from relationships, absence from embodiment all of which left me with an increasing sense of abandonment. These themes of absence, abandonment and identity are part of what is for me, the alchemical Prima Materia. My love of learning was eventually initiated during my teen years through the discovery that ideas themselves are part of a deeper level in which I am in relationship to. As a teenager I recall the thrill of reading Herman Hesse’s Siddhartha which led me to a much-needed understanding that I was not alone in feeling that life itself is a journey. The depth, beauty and intimacy of ideas and their ability to affect change in both my perspective and skill at living life, were initiated at that time, and continue to this day to be the great work of my life. Initially, the work took on an inward focus as I saw that something in or about me was the problem because – I am that which suffers. In time I have found that the work has moved beyond interior issues and out into relationships with others and the larger issues of cosmology and the state of the world. The feeling in the midst of deep personal suffering and woundedness brings with it a sense and desire for something to change. But what becomes apparent in the work is the difficulty of breaking the mold and habit of self that develops within the confines and limitations of the resources of that same self. That difficulty is what led met to seek out a guide and so in my thirties I sought out a therapist to work with. There I came to know my deficiencies and began to see how limited a view I had of myself and the world. I also learned of the importance of using and understanding language and that knowledge of ideas found through the study of history, religion, mythology and science helps in gaining a perspective as to our time and place in the cosmos. So, perhaps the class, instructors and students alike, are individually and as a group, looking for that Prima Materia, each of us searching for what brings us to enter into the study of alchemical psychology. For myself, I have a deep need to continue digging for the gold because I have experienced tremendous healing in my life through what I still see as the great work. The sensitivity that comes from such a work though, has allowed me to feel a great sorrow for the suffering of others and for the ways of the world, many of which bring seemingly unnecessary pain through an ongoing quest for power, a lack of willingness and skill in real communication, a misallocation of resources and the fear and insecurity that an ongoing demythologizing in the bringing together a variety of cultures brings. Through the experience of deep and personal healing, I have come to know that there is much value within our own experiences. There is perhaps a terrible irony in what it took for me to come to enough of an understanding of the nature of myself and the world to release me into life, in that, I could not have done the work alone, and yet, I had to do the work alone, and that work initially brought more suffering, but perhaps the right kind of suffering that eventually and profoundly led to healing. As James Hillman put it, “Our wounds open us up,” but we must first find a way to “suffer that opening” without being irreparably ripped to pieces. I loved reading this post and the course sounds fabulous! I have been a fan of Hermann Hesse for decades, and his books are all challenging in one way or another, but well worth the effort. I think Demian and Beneath the Wheel are my favorites, although it is so hard to choose really. Each offers something important. I have a book of his poems that I love, and his life has always been an inspiration to writers all over the world. Your attention to your own life in this way is also inspiring, as is evident by the many thoughtful comments here. There is much to admire in your writing, Debra, and that you care to visit with me on occasion is quite a compliment I must say. Thank you so much John for your very kind words. I was not aware that Hesse wrote poems, but shouldn’t be surprised. I’ll have to look for them. It’s hard to choose a favorite. I enjoyed Narcissus and Goldmund very much. I enjoy your writing too. You share from your heart and it shows in your writing. I am especially enjoying your current posts on your life journey. 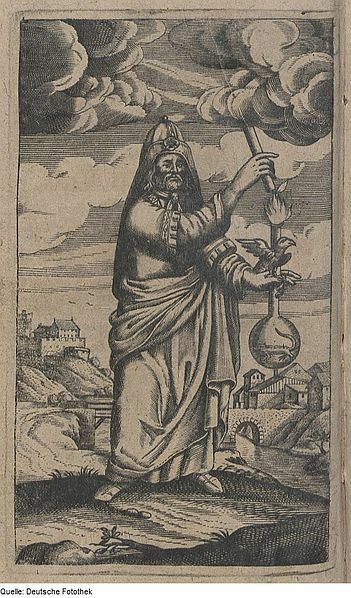 I´m also a part of the alchemical course. We are all human beings, and we all have our lifestories! If everything were fine, would we then be interested in becoming more loving and so on, I don´t think so… ! A part of our journey here on earth, it is about becoming the person who we already are! Life has it´s problems, and our time here is about cleaning our wounds in the lifelong alchemical transformation. My story is almost the same as yours, and many others, and when we understand that “we are all one” – things begin to become easier. Because it´s when we feel more separated from the others, that our wounds hurts us… ! A big hug to all of You for sharing Your words – it´s so important! When we read about other lifestories, we can feel “that we are all one, all together here on earth” – and that there is no separation, there is only love between us! That feeling can make us becoming more of the one we truly are in our hearts! Thank you so much for sharing your thoughts here. Looking forward to more discussion with the class. I hope you are aware of the Depth Psychology Alliance forum online. Let me know if you need more info. “Our wounds open us up,” but we must first find a way to “suffer that opening” without being irreparably ripped to pieces. I recently became acquainted with the work of Jung (mostly because I am going through a Jungian mid-life reevaluation:-). I am intentionally avoiding diving too much into these areas as my personality type (INTJ) has a tendency to dive deep into these issues (sometimes in unhealthy manners) and I am trying to have my indivuation progress by focusing on less information-gathering areas :-). Your summaries are very helpful as they help me avoid the temptation to dive in deeper :-). As a nearly INTJ (I score close to the middle between I and E and T and F) myself, I think I understand. There isn’t enough time to dive in deeply to so many studies. As well, that is what the diversity of our “calling” allows us; to each explore and to share, offering up the gifts we find. That is why I enjoy your posts so much. You are delving into areas that I have not yet explored, but there are so many parallels to my own studies. I do keep running across Teilhard de Chardin quotes, and I have a hunch I will get to reading him soon. Sometimes you read a post, and the responses, and you cannot find the words to add. It is joyous. It is like discovering unexpectedly you share a secret with someone whom you just met, as if you found you both stood by the same ocean once, on a forgotten strip of beach you can only reach by hiking through a long wood. You were utterly alone on your own journey, and you told that place your deepest questions, but later you find, people are discovering this place every day. All our questions are, and our answers, are being carried in a silence we all share. I’ve wanted to blog about this meeting place Michael! So true, it seems to me, that if and when we can find the language and images to refer to the underlying whole, there are no strangers. But, of course, as close as we may get, there is still the mystery, somethng out of reach, because every moment is a new creation. When one realizes these universals, seeing them in every moment, it is so joyful to forever experience “no more aloneness,” and looking each one in the eye for the possibility of having that wink of recognition.returned back to you. It’s a sacred thing to be allowed to see and experience something of the journey of another. Thank you for sharing this Debra I value it deeply. I find these words extremely powerful and relevant, especially in my own experience. Thank you for them. Thank you so much Don. It is challenging for me, as I suppose it might be for others, to write on a more personal level publicly. The WordPress community gives me enough of a feeling of safety to want to try to share a little more of myself here. Thank you Gede Prama for those very kind words. Yes, I agree very much, there’s always mystery, new ways to see the world and other people. I’m so glad you stopped by to read and visit here. Likewise you have a great blog and I look forward to reading more of your insightful posts. We can only start on the inner journey with who we are and what we have. That is indeed the prima materia – our raw material. What else are we going to do, what else can we work on? I think when we can take the first step of accepting ourselves, along with all our difficulties, and realize that if we don’t take ownership of our process, we will remain a victim. In this incarnation, we have this life, this body, this personality to do our soul work, and I suspect that on some level we have all chosen our paths. Thank you Margaret! I worried about the weight of that sentence and it is the one that took the longest to edit down to a precise and yet concise meaning. Yes, in hindsight, the work can be seen as having to be no other way; we start with the givens. Your insight into that reminds me of how much time and energy I spent in the years prior arguing with myself and being angry at family, the gods, and myself for the givens. Having the ability to move that line of thought into exploring a deeper and fuller vision of what the circumstances looked like and how they presently affect my life, that is where the work began, for me anyway. I appreciate your kind words. I enjoyed poking around your blog this morning. It’s a pleasure to meet a fellow traveler. He was right! I clearly remember those thinkers and writers along the way whose ideas gave me permission, little by little, to trust my own instincts. Thanks again for posting this for our mutual benefit. Love your friend’s quote too. Love this! …and so agree! We do share a special bond here which perhaps comes because we are able to offer our own voices and find we are surrounded by a very willing audience. Yes, in unexpected ways, the class gave me knew ways to think about the alchemical process and not just mine but others too. It’s true, we can only play the hand that’s dealt to us. I wouldn’t have it any other way. Well, I do hope so anyway. I wish I could talk to Jung, or Hesse, about what my journey’s been like so far. I think they’d both understand. I still have a long journey ahead of me. I love Hermann Hesse. I didn’t discover him until I was 40 though. I found him through Alice Miller’s The Drama of the Gifted Child. What she excerpted there just resonated strongly. I didn’t know how vital his work would be in my journey to healing. I didn’t even know about Alice Miller until my friend pointed her out to me. I’ve read Demian, Klingsors Last Summer, Klein and Wagner, Steppenwolf, and Siddhartha and I’m still trying to get through Gertrude (I don’t know why I can’t…but it’s hard). He, above all other writers, has influenced me most in my adult life. I was able to understand a lot more of my experience and have compassion for myself because of his writings. His work resonates so much. I still have interest in Jungian ideas, though there’s never enough time to delve into it yet. I wish I had all the time to pursue all that I want to. Like Symbol Reader, I had good experiences with my teachers, and I was lucky enough to have gone to high school at a place, during a time when they differentiated the programming. I was always in honors classes so the things I learned was preparing me to think critically. It was my history class (where we read novels and wrote comparative essays on different ideologies at different time periods) and literature classes where I began to understand human nature. But as I grew, I grew more weird and more divergent from my contemporaries. At least in school, I had teachers to get that deep need for stimulation met. I found it much harder after I left college, and most particularly now in my 40s, when hardly anyone reads books anymore. “We who wore the sign might justly be considered “odd” by the world, yes, even crazy, and dangerous. We were aware, or in the process of becoming aware and our striving was directed toward achieving a more and more complete state of awareness while the striving of the others was a quest aimed at binding their opinions, ideals, duties, their lives and their fortunes more and more closely to those of the herd. There, too, was striving, there, too were power and greatness. But whereas we, who were marked, believed that we represented the will of Nature to something new, to the individualism of the future, the others sought to perpetuate the status quo. I was amazed at this. I keep striving toward a more complete state of awareness while my real-life contemporaries have no interest in it. Yes, I’ve found many of my anti-mainstream ideas keep me at odds with many people, so I just stopped trying to make friends and stay home much of the time. Many times I was at odds with my husband, too, which has saddened me because there were times even HE wasn’t in my corner, but I think things have improved in that regard. “Ich wollte ja nichts als das zu leben versuchen, was von selber aus mir heraus wollte. Warum war das so sehr schwer? Anyway, I’m glad you are enjoying the class. I’m looking forward to knowing more about your journey. Thanks so much for sharing. Thank you Casey for your very thoughtful reply. I love the Hesse quotes as they all remind me of my youth, and the better parts of it in which that first spark appeared. I really enjoyed Narcissus and Goldmund, but cannot now recall much of the story. Ahh, so true for me and I suppose all those who cannot not answer the unique voice that calls them to follow the path of the heart. I appreciate your words immensely. I thought about taking the course, but now is not the best time for me. I am writing these words sort of spontaneously as I am in the middle of papers in school and am just taking a break for a moment to eat dinner. I am aware of the suffering that you have experienced. As you know, I have experienced my own. Your words are nuggets of gold to and for me. It is wonder full to read about a journey of a fellow traveler and not feel the overwhelming sense of sympathy for you, but a deep empathy for you. You articulate your self, your journey that I connect to.That is priceless for me. I am grateful for finding you, Monika and rest of us who are looking to alchemy and synchronicity to help us as we walk down this journey of today. I am speechless, but wanted to leave you a quick note to say how much I appreciate your kind words, J. They mean more than I can say. I do feel a sense of sympatico and appreciation in getting to know you and the others here. This engagement is a much needed experience for me. Best wishes in your studies and blessings to you too, dear J. The depth, beauty and intimacy of ideas and their ability to affect change in both my perspective and skill at living life, were initiated at that time, and continue to this day to be the great work of my life. ~ I love this Debra! So many of us who have an artistic, sensitive soul were ” outsiders” at some point. Together we create a mosaic of wonder and awe. That’s part of the reason why I cherish my friends and readers here on WP. Blessed are the misfits for they will inherit the earth. 😉 My path was slightly different in the sense that I had to learn to rebel and to embrace being a misfit. I was such a hopeless teacher’s pet. And I loved school and never questioned authority. How things have changed. Thank you for sharing your story, Debra. It was very inspiring. I imagine that you were (and of course still are) a very good student as your wealth of knowledge on mythology and symbols shines through in your writing. Thanks for the lovely note and for visiting here!